Ira Hotel & Spa is located close to Fira as you will discover once you arrive in our hotel. Both by car and within a walking distance you will reach the capital of Santorini in less than 5 minute or 15 minute respectively. 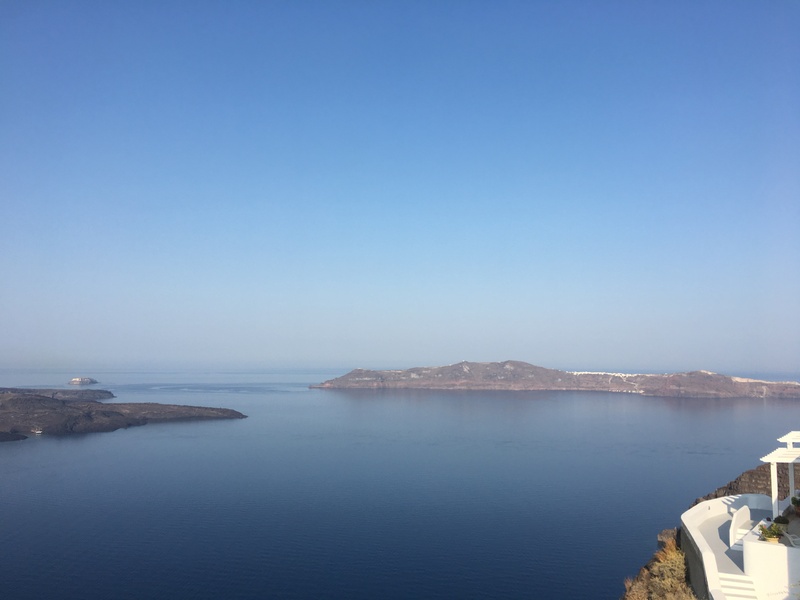 Of course you have to visit the town of Fira for many reasons and today we present the top things to do in Fira, Santorini. Sightseeing. Firstly, in Fira you will find most of the museums on the island. Starting from the important Museum of Prehistoric Thera with the treasures from Akrotiri excavations, visit also the Folklore Museum, the Mansion Gyzis and the Archaeological Museum. Also the Orthodox Metropolitan church and the Catholic Cathedral are worth stopping. Shopping. The shopping scene of Fira has just everything from souvenirs to exclusive clothes and accessories brands. Wander around the streets of Fira to try and purchase everything you need. Jewellery shops and art galleries are also found in Fira. If you are staying for a more than two days, then go for shopping on late afternoon or night as at noon temperatures are hot and cruise travellers create a rather hectic atmosphere. Food, Drink & Clubbing. If you decide not to enjoy the tastes of White Cave Restaurant of Ira Hotel & Spa, then head to Fira as here lots of quality suggestions are gathered. Restaurants, cafes, bars with caldera views or with sophisticated surroundings are found in Fira. Note that all nightlife in here in Fira. Bars that stays open until late at night and all clubs offer to party goers all kinds of thrills. Nearby Locations. If you want to discover the coastal part of Fira, the embark on the cable car to the old port of Fira, where some taverns are found there, or drive as far as Exo Yalos to swim and enjoy the sun. Our front desk will tell you more on the top things to do in Fira, Santorini and to locate your location click on www.ira-hotel.com/location-map.